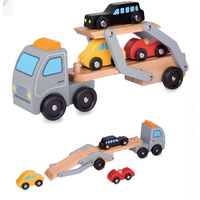 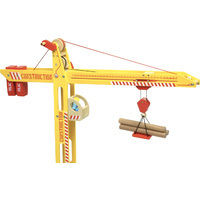 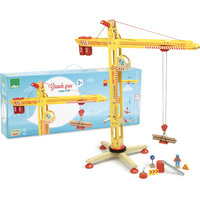 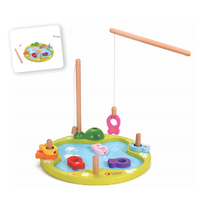 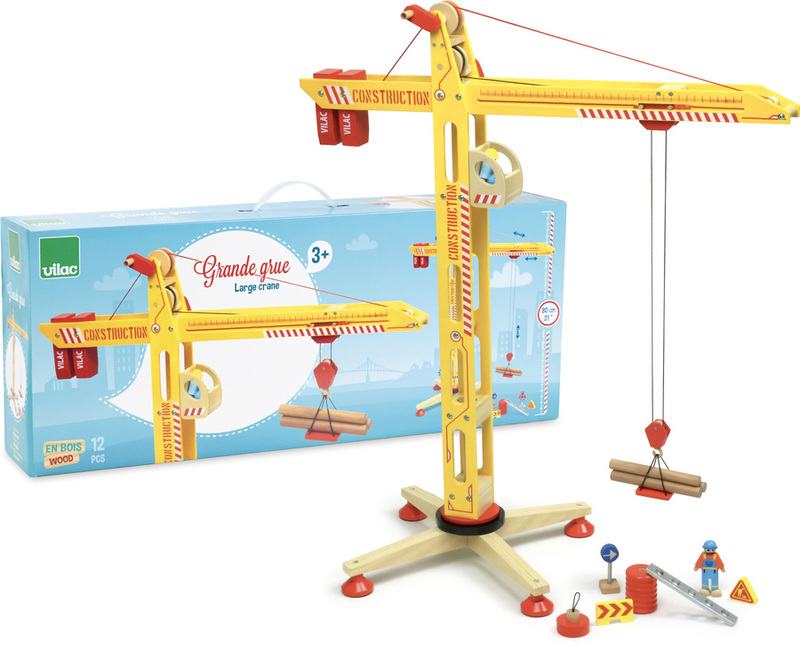 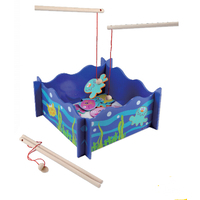 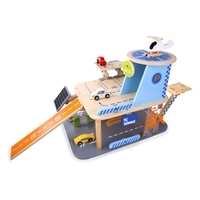 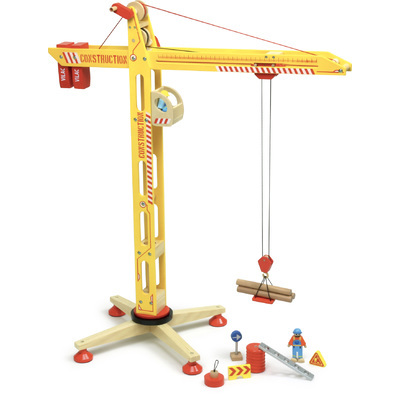 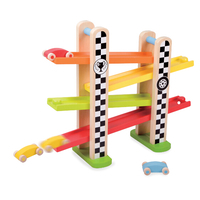 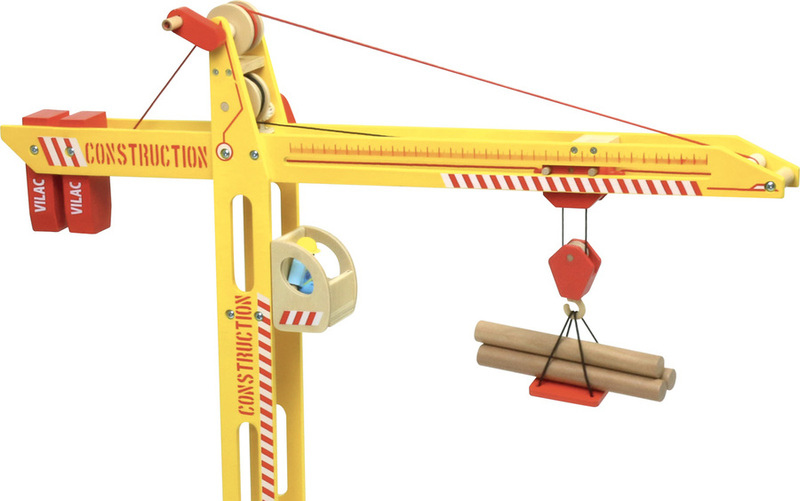 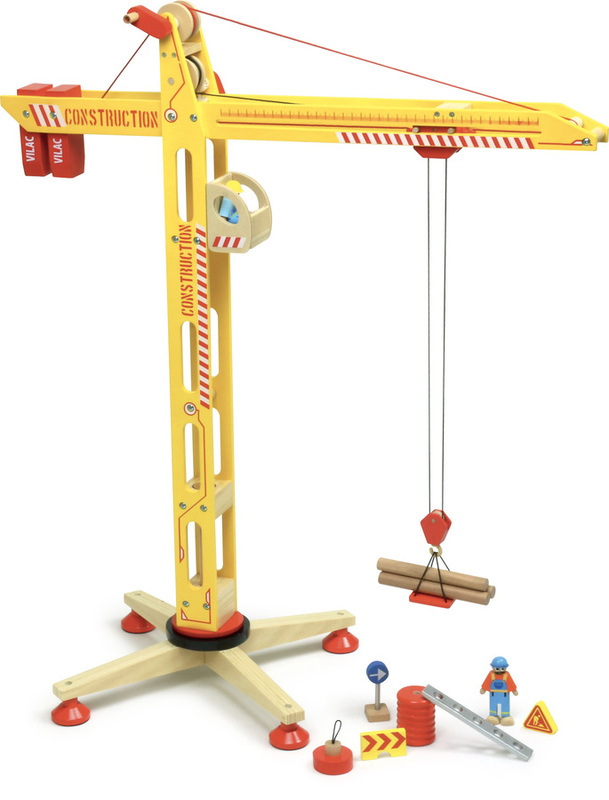 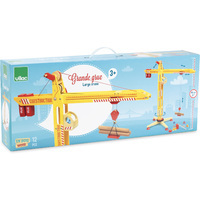 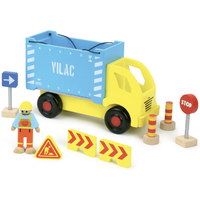 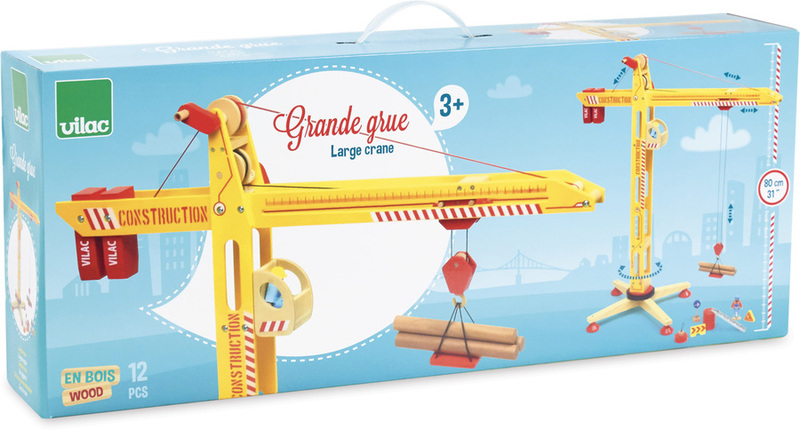 Your little builder will love this large wooden crane. 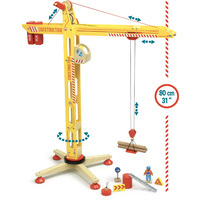 Turn the crane in position and lower the magnet to pick the cargo up, winch it up and lower it again onto the back of the truck or trailer. 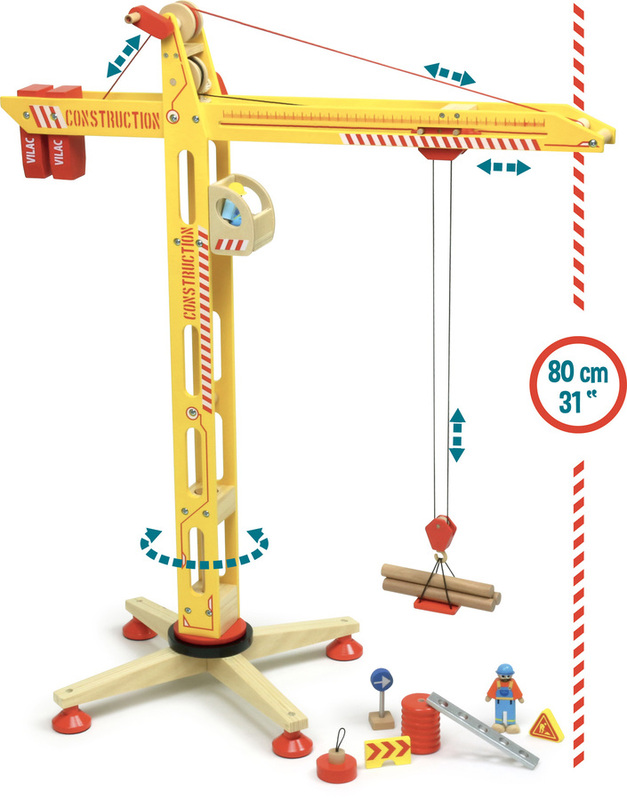 Connect up the trailer with the hook attached and drive away to the building site! 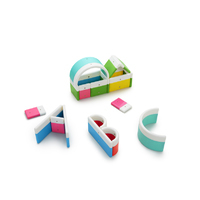 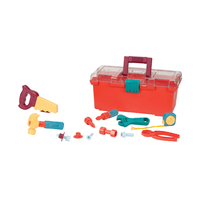 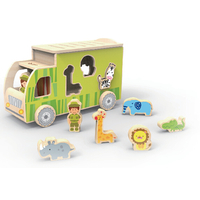 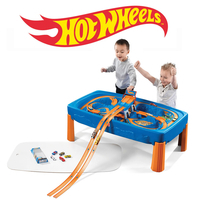 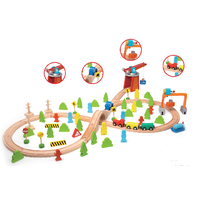 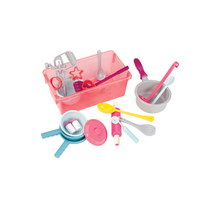 Create different situations and stories designed to feed the imagination, and mix with other toys for endless play possibilities.